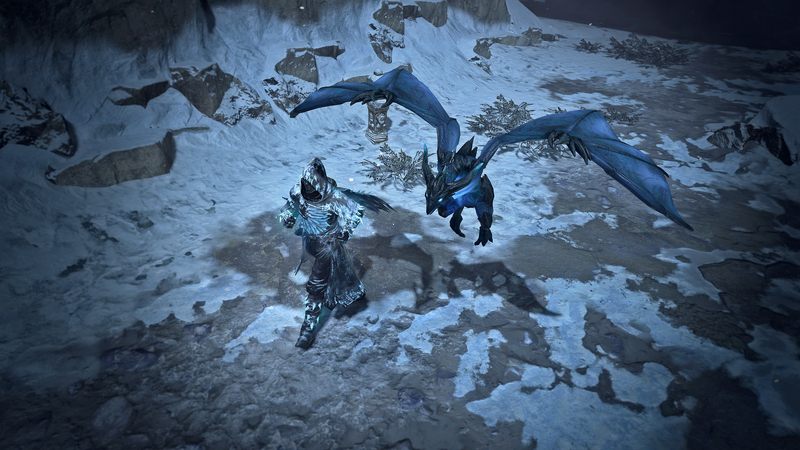 We've just released the Arctic Dragon Hunter Pet! This magnificent creature has blue skin, blue eyes and spits a stream of freezing air. Check it out by watching the video below or click here to get yours. If you're looking for a nice cold-themed outfit to match the look of your new pet, be sure to check out our ongoing Fire and Ice sale! We'd recommend wearing the Arctic Crystal Armour Set, the Arctic Crystal Cloak or the Arctic Wings with the Ice Character Effect. "There will never be Dragons in PoE" .... except as pets. Still think it would be awesome for some sort of pseudo dragon, maybe its in the celestial space in between maps or something, like The Shaper / Elder always just left it alone because it was so powerful or something ect. Now I can do my song of ice and fire in POE. -The one and only one Dark_Reaper115 at your service.